ELK GROVE VILLAGE, IL – September 4, 2018 – Stern Pinball, Inc., a global lifestyle brand based on the iconic and outrageously fun modern American game of pinball, announced the appointment of Matic Entretenimento as its exclusive importer and distributor for Brazil. Matic is an experienced manufacturer and distributor of coin-operated games located in São Paulo. “We have been long time Stern Pinball supporters and are very pleased to have the opportunity to represent Stern in the Brazilian market,” said Paulo Esteban, CEO of Matic Entretenimento. Stern Pinball, Inc. is a global lifestyle brand based on the iconic and outrageously fun modern American game of pinball. Headquartered minutes from Chicago’s O’Hare International Airport in the heart of North America, the company creates, designs, engineers, manufactures, markets, and distributes a full line of technologically advanced terrestrial and digital pinball games, parts, accessories, and merchandise. The Company serves digital, consumer, commercial, and corporate markets around the globe. Recent Stern Pinball titles include Deadpool, Iron Maiden, Guardians of the Galaxy, Star Wars, Aerosmith, Ghostbusters, KISS, Metallica, Game of Thrones, The Walking Dead, Star Trek, AC/DC, Batman, and Spider-Man. 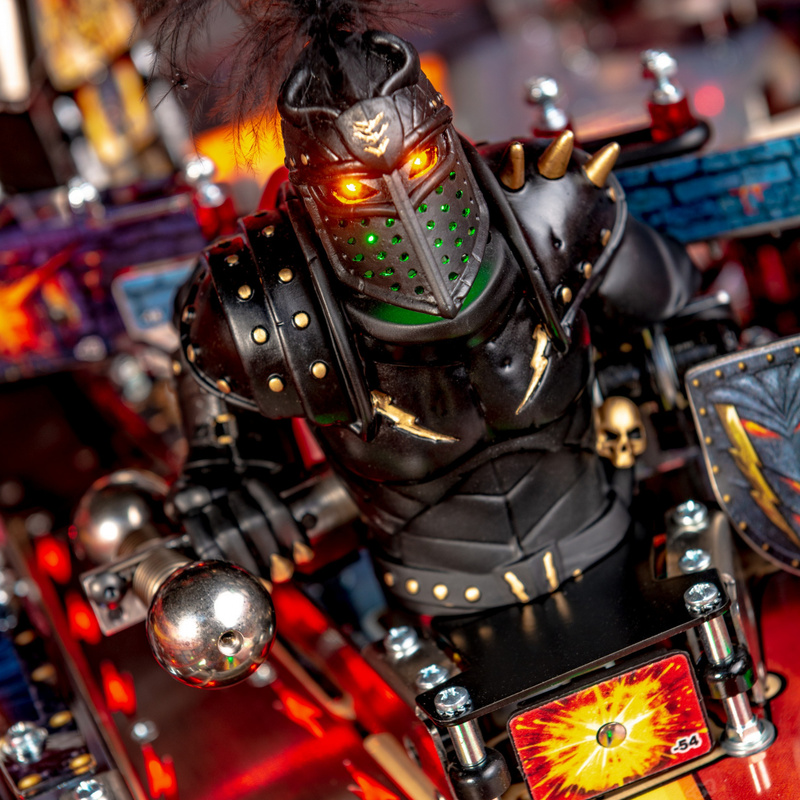 A broad range of players enjoy Stern Pinball’s games from professional pinball players who compete in high-stakes international competitions around the globe to novice players who are discovering the allure of the silver ball for the first time. To join the fun and learn more, please visit www.sternpinball.com. Matic Entertainment is one of the largest indoor entertainment equipment producers in Latin America, founded in 1970 by the Esteban family. Today, Paulo Esteban is the head of commercial and financial operations. The company is located 30 minutes from the two main airports of São Paulo. Matic produces air tables (Pac Man Air Hockey and Air Kids), taco tables (Tacco Ball, Tacco Kids and Ticco Kids), simulators (Dead Heat, Extreme Snow) and several world titles such as Jurassic Park, The Walking Dead, Moto GP for local and international markets and distributes Andamiro, Namco, Raw Thrills and ICE Games in Latin America.